I’ve recently tried to customize my card and wanted to do something to rep the VOLS. However they have a pretty stringent list of criteria so obviously I knew I couldn’t use the power T or anything registered or trademarked. I’ve tried like 4 times and everything I submit is rejected. The last time I personally created a simple checkerboard pattern and it was rejected. I can’t see where it violated any of the rules. I’ll post the rules and my pic and see what you all think. I do, I've made 2 in the past that were just aerial views of the stadium during a game, like a screen wallpaper. My one now is just an American flag. They have strict copyright rules, no logos. 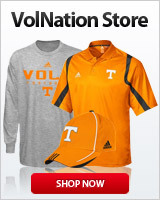 I wouldn't think an orange and white checkerboard would be against rules though. I tried a stadium pic first and it was rejected but I kinda got that. I did the checkered Tennessee state logo and it was rejected but I know it’s used by some to go around copyright and trademark laws. Kinda borderline so whatever. But a basic checkerboard pattern that I made has me baffled. If they reject that I’m start to think they won’t approve much of anything. Luckily the new ones dont have the grey or white sections on the sides like those. That’s crazy. Here is my first and second submission. Maybe they updated it to be more strict recently. I wasn't sure if they'd let me use the American flag for my current one. They have a selection of predesigned photos that include American flags and a variety of other things. They have some universities, sports teams, animals, patterns, etc. A basic checkerboard shouldn’t be outside the guidelines. Yeah i saw them. I'm with you on the checkerboard. Could you repost this without the black marks please, and thank you. Update: I posted the issue on their FB page Friday or Saturday and within minutes they were responding. They wanted my personal info and called me yesterday afternoon. Escalated a case to whichever department handles the cards and last night got an email saying my design was approved, gonna assume it was the last one. Another email this morning that it had shipped. Which one did they approve? That's badass. I just asked about it in another thread. Disregard that. That looks phenomenal. Too bad the WF logo isn't more subtle. Thanks. I was honestly a little po’d when I submitted it after being rejected 4 times otherwise I would’ve lined the squares up better where they aren’t chopped in half at the top and bottom.